Charles MacQueen was born in Glasgow in 1940. He was educated at St Aloysius College and then attended the Glasgow School of Art. After graduating from Glasgow School of Art in 1965, Charles MacQueen pursued a successful career in Art Education. Throughout his teaching years Charles continued to paint and exhibited widely. Eventually in 1990 Charles retired to concentrate full time as a professional artist. Charles MacQueen has won many art awards over a long and distinguished career. This includes: the Council Award of the RSW ; the Torrance Award and the Teacher's Whisky Travel Award, both at the Royal Glasgow Institute. He was also elected a member of the Royal Glasgow Institute in 1983 and the Royal Scottish Society of Painters in Watercolour in 1984. Charles MacQueen paintings can be extremely textured. 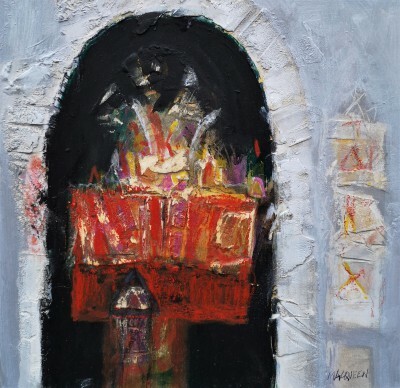 He uses textured levels of paint and gesso to create the feeling, sensation or experience of specific places. Charles says of his paintings "The forms I use are forms remembered or dreamt about. The stark visual contrasts of moving between strong blinding sunlight and dark bazaars full of rich reds, golds and turquoise inhabit my paintings. This is like being put down to sleep in a darkened room with strong sumlight streaming through the shutters. This is not representation but an evocation". This is the Red Rag Modern Art Gallery website page which features paintings of Architectural subjects. 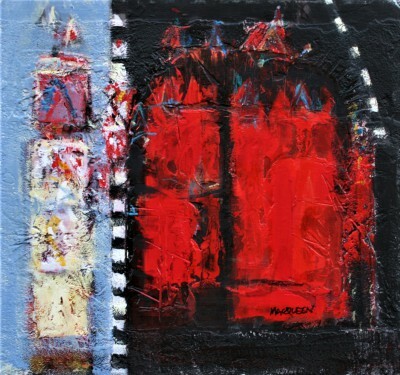 Within the art listings you will find artists with an International reputation plus the Modern art works of young artists. 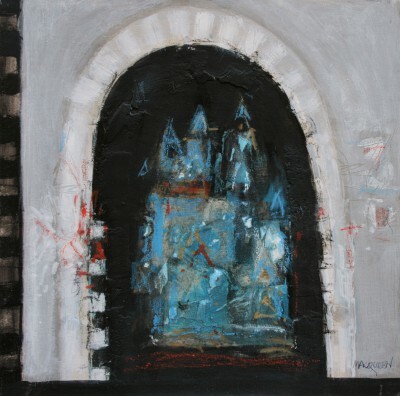 At Red Rag Modern Art Gallery there is always an extensive choice of contemporary paintings featuring Architectural scenes from across the world. All the Architectural paintings available from Red Rag Art Gallery are acquired directly from the Modern art studio of each featured artist. This guarantees that the paintings are genuine pieces of fine contemporary art from the artist. 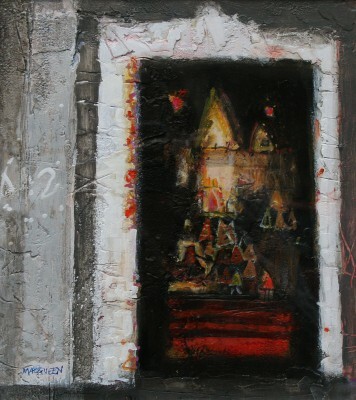 In addition to guaranteeing authenticity it also ensures that Red Rag Modern Art Gallery offers best and value for money. Red Rag Modern Art Gallery is open seven days a week for sales of contemporary Modern Art. All architectural Modern art from Red Rag can be delivered throughout the world service normally within a few days of purchase. 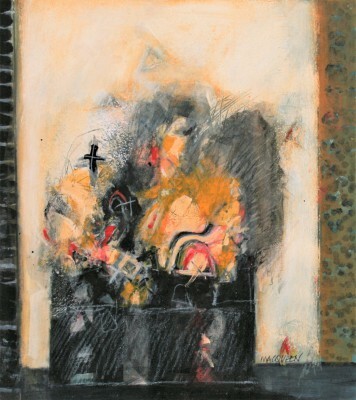 To view Architectural Modern art work of each artist simply click on the artist's name or image. Information about every contemporary painting including size and price is displayed by clicking on the image for each Modern art work.